Insight Chiropractic is located in San Jose, CA, and serves the surrounding areas of Cupertino, Los Gatos, Santa Clara, Saratoga and Campbell. Our practice helps patients work towards full-body wellness by providing chiropractic care, spinal adjustments, massage therapy, functional nutrition and other holistic techniques. Our treatment is administered to alleviate such common ailments as foot problems, help with more long-term injuries, chronic conditions, and helps strengthen bodies. For those seeking care and relief, our San Jose chiropractor, Dr. Forster has years of chiropractic experience and education to help promote healing and achieve overall well-being. Dr. Forster also specializes in foot adjustments and problems relating to foot conditions. Because our chiropractic practice believes that healing starts from the feet up, her knowledge as a foot specialist serves as a great asset to designing cohesive treatment plans for patients. Our San Jose chiropractic clinic helps patients find relief from back, neck, and foot pain as well as areas of the body that may require rehab. We can assist those who may be suffering from personal injuries (car accidents, slips and falls) but also those who may be looking for a healthy lifestyle change. We do not only offer rehabilitative care, but we also offer preventative care and treatment to optimize your overall health using customized functional nutrition programs. 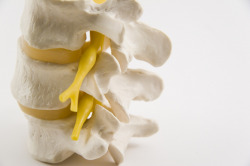 Our patients can consult with our chiropractor as to what combination of treatment will best suit their needs. The different techniques and therapeutic procedures we use for adjustments to the body help to ease the common symptoms of discomfort and shoulder soreness, headaches and aching feet that our patients suffer from. Our staff is trained to offer rehabilitation services to quickly and effectively help those suffering from personal injuries. We want to help our patients reach full mobility, flexibility and comfort as well as build strength throughout their bodies. In addition to providing physical rehabilitation, our San Jose chiropractor and chiropractic staff prevent further injuries with corrective exercises and lifestyle advice. Our wellness plans focus on healing for the entire body by also highlighting the important health and nutritional aspects of treatment. Our clinic recommends whole food supplements only as we strongly believe that food is medicine and can help heal the body. Our clinic's goal is to help patients with all of their painful symptoms including back pain, neck pain and tension headaches. Our focus is on creating a combination of treatment with rehabilitation for recovery from injuries, chronic pain, or to optimize mobility. Our San Jose chiropractor wants to ensure that each patient follows a plan that will lead to optimum health and well-being. The care we offer for patients in San Jose, Cupertino, Santa Clara, Los Gatos, Saratoga and Campbell includes both corrective and wellness treatments with the end goal of improved well-being and functionality. Contact us today at (408) 244-0727 for more information.